Create without limits: Grattis Mamma! Min mamma fyllde år i måndags och det här kortet fick hon tillsammans med Sirpas fina bok. It was my others birthday this past Monday, and I gave her this card together with this lovley book. Kortet är gjort med Cocoa Daisy´s kit Cabana efter Augustiskissen från deras blogg. 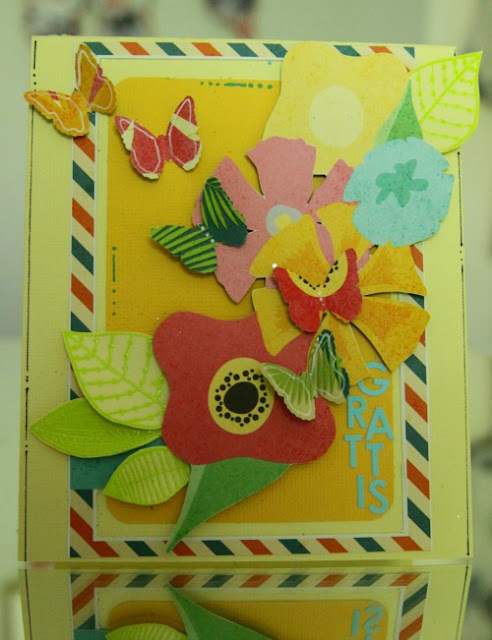 The Card was made using Cocoa Daiy´s Cabana kit. Material used: Patterned paper; Simple Stories for Cocoa Daisy (Cabana paper). Elle´s Studio Serendipity (flowers). Embellishments: Basic Grey Micro Mono Alphas (blue). Cocoa Daisy Clearstamps (Mod leaves). Zing embossing powder (leaf).